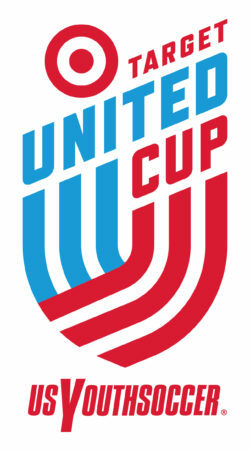 The TARGET UNITED CUP FESTIVAL is open to all Kansas & Missouri Youth Soccer affiliated recreational teams Competition will be offered for U7 – U15 age divisions (boys and girls) as long as there are at least four (4) entries in each age group. In the event there are not enough teams to fill one age bracket, some ages may be combined. Weather permitting; teams will play three (3) games with U9 & up teams that finish in the top two positions of their age division playing in a championship (4th ) game during the Festival. All teams entering the Target United Cup must be recreational teams or divisions 8 or below premier teams. A player may play for only one team in the festival. Any guest player must be currently assigned to a recreational team registered with KSYSA or MYSA. Need to Register your recreation team with KSYSA? Find more information on registering as an Independent team by clicking HERE. All players and coaches must be properly registered with a US Youth Soccer and KSYSA or MYSA recreational team in accordance with US Youth Soccer rules, policies, and procedures. All players and coaches competing in the Target United Cup festival must have current US Youth Soccer member registration numbers. CLICK HERE to read about Target's Involvement in Youth Soccer at the National Level!